Who’s tweeting? What states have the highest percentage of its population thumbing out their Twitter status, who’s average and what states have found something better to do? 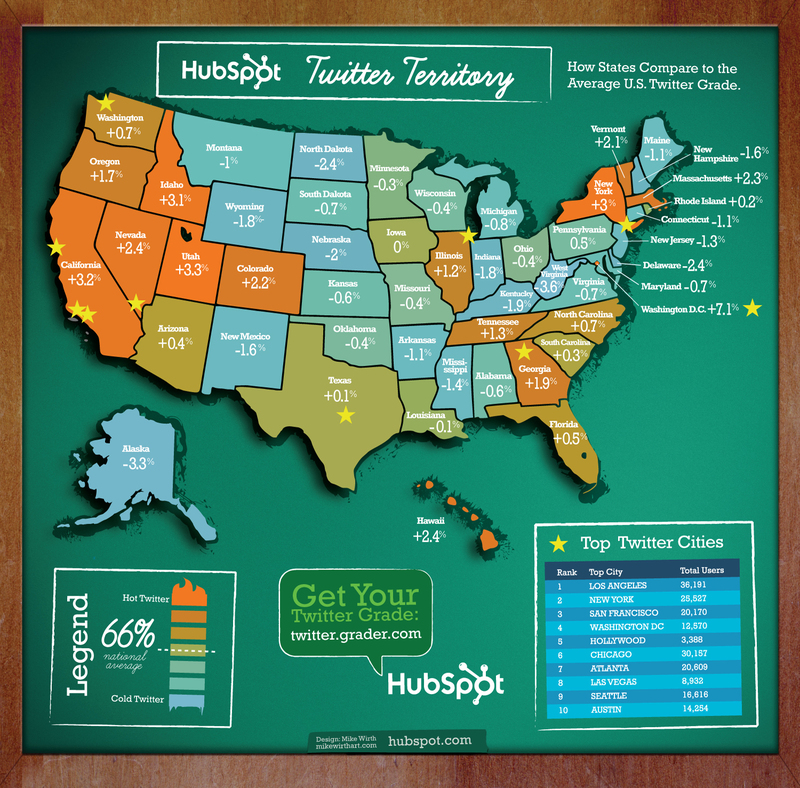 Using data from the Twitter Grader App, folks at HubSpot created this map of the US, color-coding states by the percent of pop who use Twitter. They also include the top ten cities in the US based on Twitter usage, with Los Angles at the top of that pack. When I see this, I want to ask, “Why?” Why is so much Twittering happening in New York and so much in the South East. Why the West Coast, and Colorado? Might be good questions for students to brainstorm, when brainstorming seems the thing to do on a Friday afternoon.